When moving into your college room, it is common sense that you are going to need certain things to bring along with you. Items like bed sheets, towels and medications are all no-brainers. However, what do you need to bring to turn your dorm room from ordinary to extraordinary? Listed below I am going to show you some of the best dorm room things to bring along and why. Unless you plan on living in the library, the odds of you having a quiet roommate and dorm floor are zero. However that is no excuse for you not to concentrate and stay up on your studies. To help you battle against the noise distractions, I highly recommend that you pick up a pair of noise canceling headphones or ear-buds. Using these items will allow you to concentrate on your next exam or allow you to knock out that term paper with no outside noise distractions. On top of all that, you can continue to complete all of your work in the comfort of your room. 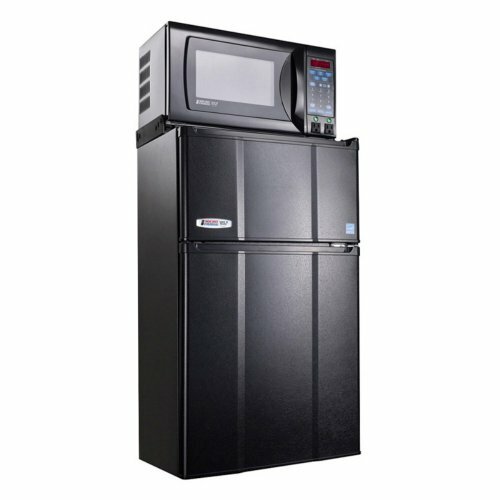 Having a microwave fridge freezer combo is a tremendous advantage to your dorm room living quarters. Hands down, this is most likely the paramount piece to take your dorm room to the next level. From keeping some cold bottles of water nearby, to reheating a special meal from home, you cannot top the flexibility and ease of having one of these in your room. One of the top features of these combo models is the fact that they come with one electrical plug to power the entire unit. As you already know or are about to find out, dorm rooms are not equipped with many electric outlets. With that being said, being able to power your unit with just one plug is a key advantage. However before you run out and purchase of these units, you need to inquire whether or not they are allowed in your dorm room. Some colleges have very strict policies about cooking units in dorm rooms due to potential fire hazards. So do yourself a favor and be sure to check your dorms rules and guidelines about having one first. Feeling comfortable and safe in your dorm room and around your college campus is very important for you to be successful in your studies. However, it is equally important that you take your personal safety and the safety of your belongings into account as well. Unfortunately, we live in a day and age where people purposely look to take advantage of others. The last thing you want to do is to fill out a missing belongings sheet for your laptop, TV or whatever the case may be. At your local electronics store you should be able to find laptop/computer locks. These locks are exactly what they sound like. They are designed to keep your computers chained to your desk for added security. In addition to the computer lock, I would advise you to pick up a small safe. Safes are great way to keep your money, wallet, keys other personal items safe and sound. If you do pick up a safe, I highly advise that you find a biometric one. 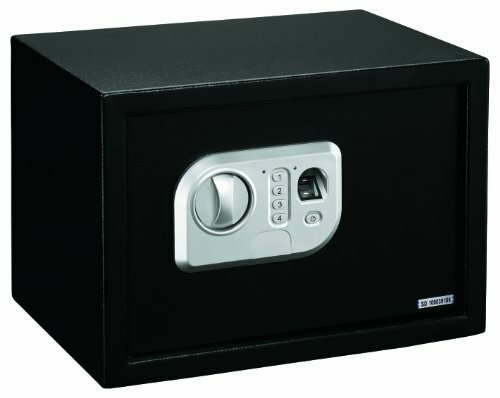 These safes can only be opened by your fingerprint but still have a lock and key back-up opening feature. A basic small repair tool kit is another item that will help you take your dorm room living to the next level. Occasionally, you may need the assistance of a pair of pliers or a hammer to adjust or fix something in your room. This will bring up two scenarios. One, you can contact your dorms assistant and have them track down the tool you need. Or two, you can reach under your bed to grab your tool kit and you can fix the item quickly and efficiently. However do not spread the word that you have a small repair kit in your room. Reason being, you may just find that everyone and their friends will want to borrow your kit. We live in a day and age where everything has some kind of power cord or charger associated with it. From laptop computers and cell phones, to alarm clocks and lamps, we are not without our needs for electricity. However as noted above, dorm rooms and especially older ones, are not equipped with very many electrical outlets. So do yourself a favor and be sure to bring lots of extra multi plug connectors with you to power up all your tech items. On a side note, be sure that multi plug connector that you bring along has an internal overload detection system built into it. Who knows how old that wiring is in your dorm room and the last you want is a fire breaking out while you sleep. You will definitely want to hang up some posters and decorations on your wall, but the odds are that you dorm has very strict rules about putting nails or holes in your walls. So how do you work around that to take your dorm room to the next level? The answer is Glue Dots. Glue Dots are exactly what they sound like. Sticky dots of glue that will allow you to hang all your decorations up on the walls without breaking the rules and putting holes everywhere. What about tape? Tape over time will not last and your posters/art will coming off the walls. Glue Dots are much stronger that tape and your decorations will stay put all semester long.